Leslie is a Licensed Physical Therapist. She has been with Spectrum Medical since 2010. She is a graduate of Virginia Tech with a BS Degree and then went on to Winston Salem State University to attain her Master’s of Science Degree in Physical Therapy. 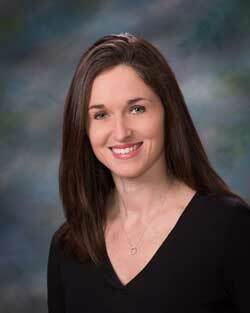 She focuses on outpatient rehabilitation. Leslie enjoys water sports at the lake and bowling.